You wake up in a strange world, having lost all your memories. Not knowing where you came from or where to go, you walk. This is the land without hope, Palamitia. Looking downward, the light of hope shines not. It's got a lot of good names attached to it. But while I'm a sucker for Amano artwork, when has his artwork ever been truly indicative of what we will be seeing in game? Furthermore, I feel like SE has made the "highly ambitious for a mobile game" statement before. I'll look forward to seeing more of the game this weekend at Jump Festa. I'll wait for reviews. It's hard to get excited when Square gave us All The Bravest not too long ago. Its not so much that it might be indicative of something, it just seems like they're throwing a lot of effort, talent and weight behind it. While they've made statements like this before, there's really never been much beyond that to back it up. This seems different to me. Will it be good? I have no clue. I just feel a little more...optimistic about this game than I have about mobile games in the past. My hype is up but if it ends up being really good, they better port it to the Vita at the very least. I am on my phone a lot but I really don't like gaming on it because of how much battery it uses. Haha, always with the white-haired, tanned men for these mobile games lol. 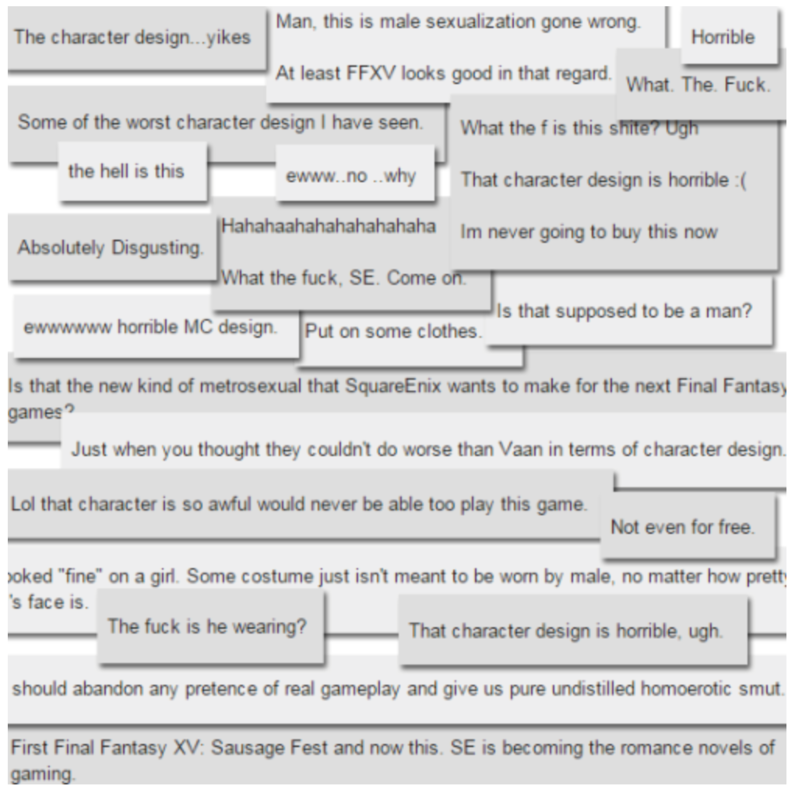 New images revealed, followed by an outcry of male gamers who don't like how exposed the protagonist is. Lmao at the last comment about SE becoming the romance novels of gaming. The male sexualization doesn't really bother me. It's pretty tame compared to what girls have to put up with. I just don't think the design looks good at all. Like, if you're going to wear such a ridiculous..... shirt?.... you might as well just be completely shirtless. Like Jecht. Hopefully equipping different armor changes your appearance accordingly in the game. Imagine how this game would've looked on the current consoles. The character art looks great. The way he's lying on the ground reminds me a lot of Yuna in her X-2 dream. I KNEW that pic reminded me of something! And I think the armor is going to change over the course of the game. Notice how in the 1st two pics he's only in the black leotard thing with the armor leggings and has a different sword. Ranger and Black Mage jobs introduced. 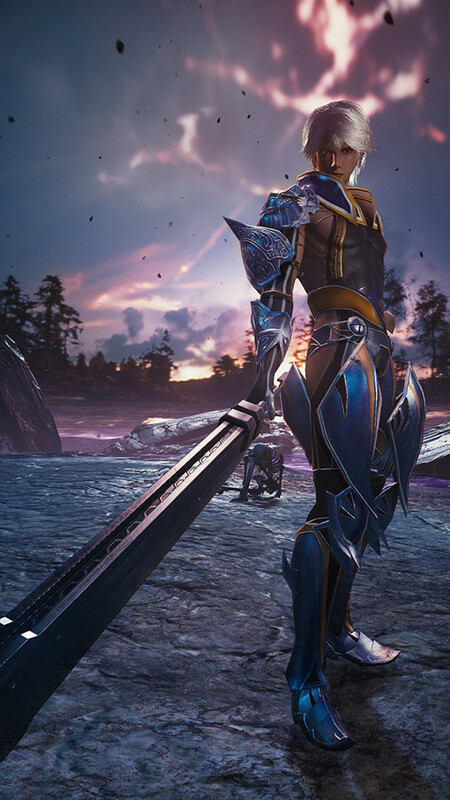 Square Enix has released a new set of screenshots and details for its upcoming smartphone Final Fantasy title Mevius Final Fantasy. As previously announced, Square Enix is creating a “high-qualiy RPG” that rivals the scale of a console game with Mevius. It is due out in Japan this spring. Here we see a girl reflected in a giant crystal. Could she be a guiding force of some sort for adventurers? The series’ icon Moogle character will appear, soothing as ever. The protagonist, who wakes up in an strange world, is guided by an entity known as “Voice.” Whether hope or despair awaits after everything is said and done, it’s hard to say. Battles are optimized for smartphones, offering simple controls and an unprecedented level of immersion. The basic “fight” command can be carried out by simply tapping the screen and you can perform multiple attacks per turn. There are a number of magic abilities players will be able to make use of, including ones that should be familiar to series fans. “Flame Blast” bathes the hero’s sword in flames as he attacks surrounding enemies. By defeating enemies, you can acquire “Elements” by defeating enemies in battle, which will in turn unlock more and more abilities as time goes on. A solid mixture of standard attacks and abilities goes a long way to keeping battles thrilling, while also ending them succinctly. The series’ landmark job system will return. The attacks and abilities for each job are different, so it’s important to change up your job or attack process in response to the enemy you’re facing off against. The “Ranger” job, for example, has high mobility and specializes in close-range attacks. It is one of the thief-type jobs in the game and has the hero wielding two daggers. The “Black Mage” job, meanwhile, naturally excels at magic and is an advanced class among the mage-type jobs available in the game. In exchange for low HP and physical attack damage, a Black Mage can more than hold their own when it comes to magical damage and criticals. Their black robes are adorned with golden ornaments, giving off a dignified aura. HD Final Fantasy makes its way at last to smartphones after a long history throughout the series of greater and greater graphical fidelity with each new installment. Mevius Final Fantasy proudly draws upon this legacy, bringing to smartphones a level of fidelity, smoothness, and final detail in its polygonal graphics that was once only possible on high-end dedicated game machines. Nevertheless, the game is being optimized so as to be enjoyed on as many different handset models as possible. 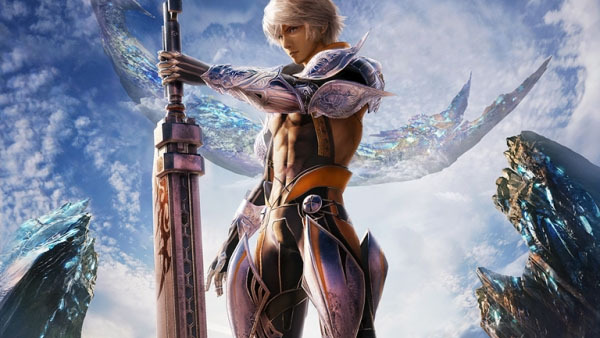 Mevius Final Fantasy also supports Metal, which is a newly adopted API for iOS 8. As a result, things like reflections in the game are rendered even more finely than ever. Reminds me of Lighting Returns, that command on the right side definitely gives it away. There are definitely a lot of elements that appear to be borrowed from the FFXIII series. That Moogle shares the same structure as Mog from XIII-2 and the UI design is pretty similar. Other than that, this looks pretty impressive as a mobile game. That also confirms it's being made with Unity 5. I'm really liking the retro-futuristic design vibe with her. I'm going to be really annoyed with Square Enix if they don't do the same with Cidney/Cindy now. Was there really that much of a fuss over his design?